There are various plants that we Indian and Chinese grow in our home, be it knowingly or unknowingly. 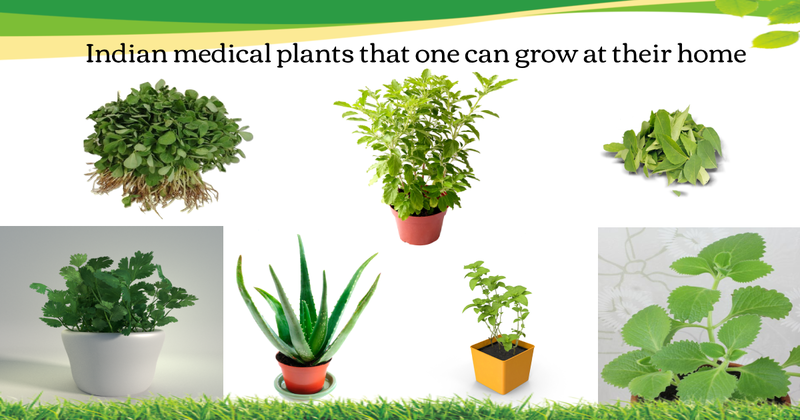 Other than providing us with oxygen plants like Tulsi, Aloe Vera, Mint, Coriander is used in Medicine too. Read, to know more. We all must have heard how important Aloe Vera is? But do you know that Aloe Vera can be grown at your own house with minimal efforts? Aloe Vera is considered the remedy, for an upset stomach or the inflammation on the skin. Aloe Vera is well known for its impact on the Health and Fitness world. The fact that it’s been used in most of the skin products makes it a perfect plant to be grown in your backyard! That one plant, which you can find in everyone’s house, has to be Tulsi. Tulsi is considered sacred and is a must in a Hindu family, other than the religious sentiment’s that are attached to it, Tulsi has been used from the ancient days to cure a cough and cold. Proper sunlight and water are the two key ingredients. Considered as one of the easiest plants to grow, Coriander is often referred to as Dhania leaves, in India. Coriander is been used in food to add Taste and flavor. The fact that a container and few seeds of Coriander are the only prerequisites needed makes it earn a spot in the list of Indian Medical Plants that one can grow at their house. Coriander is said to be good for treating problems relating to Digestion, Diarrhoea, joint pain. Mint plants are often used in Tea and are said to have a smell which helps in keeping the mind fresh. It’s considered a delight to have it in summer. Mint is the one solution to all your stomach problems. This rich in Nutrient plant can be grown with a bit of care and water in your pot. Ajwain can help you in a lot of different ways of having a healthy life. You can get hold of it by following the steps of propagation: which is growing a new plant either by cutting or from seeds or from some other plant parts. Ajwain is often used to treat Kidney stones. It’s often used in our daily dishes and is rich in vitamins. Curry plant can be grown either from seeds or from the cutting of plant parts. It needs a temperature of around (21 degrees C) to germinate. Growing a Curry Plant is easy considering you feed it well. Keeping it in a pot which is well drained and keeping the soil moist is the key ingredient in having a Curry plant. Fenugreek, Methi: Helps in maintaining blood cholesterol and is used for gas related problems. Methi seeds take around 3-6 days to grow and you need to keep it out of direct sun rays. A full-grown Meethi plant is around 2ft. Plants are more than “Just Oxygen” suppliers, they are a “Lifeline for Humans.” Keep them close, as much as you can and do protect them. Above is the list of Indian Medical plants that one can grow at their home.